Identiv’s Hirsch Velocity Software security management system provides the security and functionality expected from high-end systems with the ease-of-use found in entry level packages. One door or 100? Identiv’s Hirsch Velocity can manage. Literally. Get access to the latest information on updates, products and support by registering your software. Hirsch Velocity Software is an integrated platform that manages access control and security operations in thousands of different facilities, from single high secure rooms to multi-building, multi-location campuses, with the most stringent security compliance. Control doors, gates, turnstiles, elevators, and other equipment, monitor users as they move around a facility, prevent unwanted access, maintain compliance, and provide a robust audit trail. The latest version of this next-generation software platform is designed to deliver unsurpassed security, interoperability, backwards compatibility, and the ability to expand to accommodate the evolution of security technology and business and facility needs. 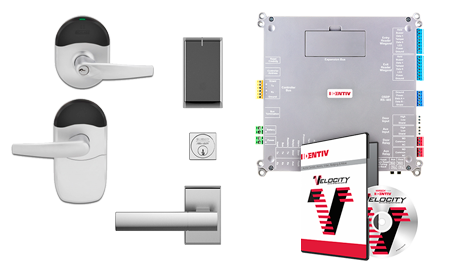 ASSA ABLOY Aperio and Allegion Schlage Wireless Lock Systems are now supported in Velocity 3.7. By choosing Identiv’s Hirsch Velocity physical access control system solution, the City of Westfield, Indiana (voted one of the “Happiest Cities in the U.S.”) continues to grow exponentially year after year, all the while maintaining the safety of its residents and visitors. 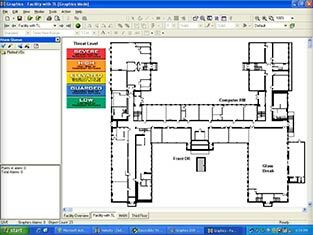 If you need technical support for the Hirsch Velocity Software, we’re here to help. Please make sure you have the part/model number ready.